Spring is here, bringing life back into blossom. 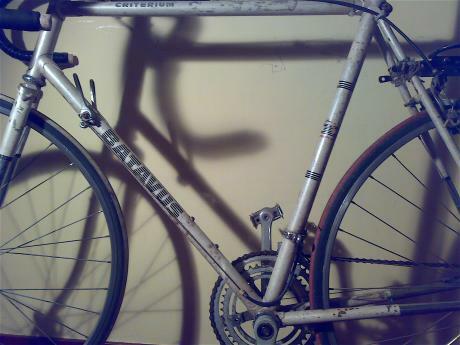 And so it got time to bring the bikes out again and fix a couple more of them. In winter Zsuzsanna already took care of all of them with some help of Nimi (see bottom-photo), but the snow and cold brought new damage to most of them. That's why today Ellen, Brian (patching an inner-tube for the first time in his life) and I took care of that and fixed Katherine, Black&Orange (which is now called Tripy), Mama, MyBike and Jaap's Bike. Bikes that remain are Hugo (we need to paint sunflowers on them, and give the chain an oil-bath) Pyjamas (replacing the butter) and Long-Distance (fixing a front-wheel and the lock). And when that's done, we are back to ten bikes, including Pirate and Dumpster Monster. Yah! 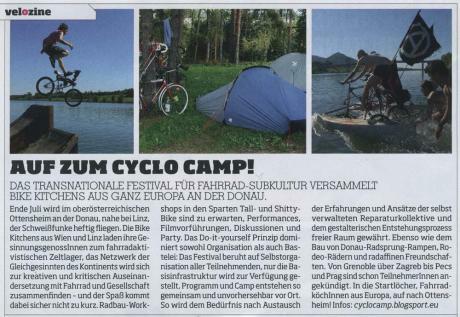 For those cyclists and community-enthusiasts out there, the Vienna based bike-kitchen calls for fellow bikers and bike-fixers to come to Cyclocap 2011, the first European Bike-festival. I guess there could be some people here who might be interested in joining. 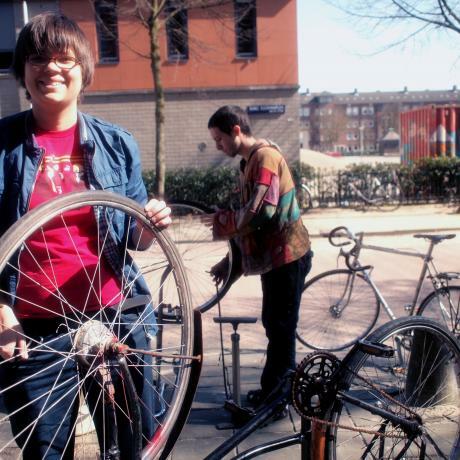 The Cyclocamp is to provide a do-it-yourself (DIY) bicycle repair-space as well as a space for reflection on how these spaces are organised, learn from other DIY-bicycle spaces and have fun together. "We feel the need to (inter)connect with projects similar to ours, learn from other experiences and make friends for trips and other projects." "The last dinosaurs died alone"
"How do you know? Have you been reading dinosaur blogs."